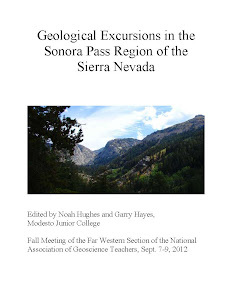 Since last summer I've been working on a blog series based on the geology, natural history, and anthropology of the Hawaiian Islands, loosely based on our field studies class last summer. There are a lot of stories told by these isolated islands in the middle of the Pacific Ocean. I finally reached the (possible) end of the series yesterday, and so today I'm putting together a compilation of the posts (click on the titles to get to each blog). This was the opening post that described what I hoped to do with the series. It included a picture of the Gardiner Pinnacles, the last bit of volcanic rock in the Hawaiian chain of islands. This bit of rock is the final remnant of an island that may have rivaled Kaua'i or Maui in size. I remember that the location and relative size of the islands meant little to me until I actually visited. In this post I laid out the geography of the main islands of the chain. We are often far too ignorant of our dependence on the land and resources, and forget that they can be abused and wasted. All human societies alter the landscapes that they occupy to increase their chances for survival, and some are more successful than others. Hawai'i is a microcosm of the human experience on Earth. Hawai'i begins and ends with basalt, the product of the partial melting in the mantle of the Earth. Basalt is the foundation on which the entire story of Hawai'i is written. 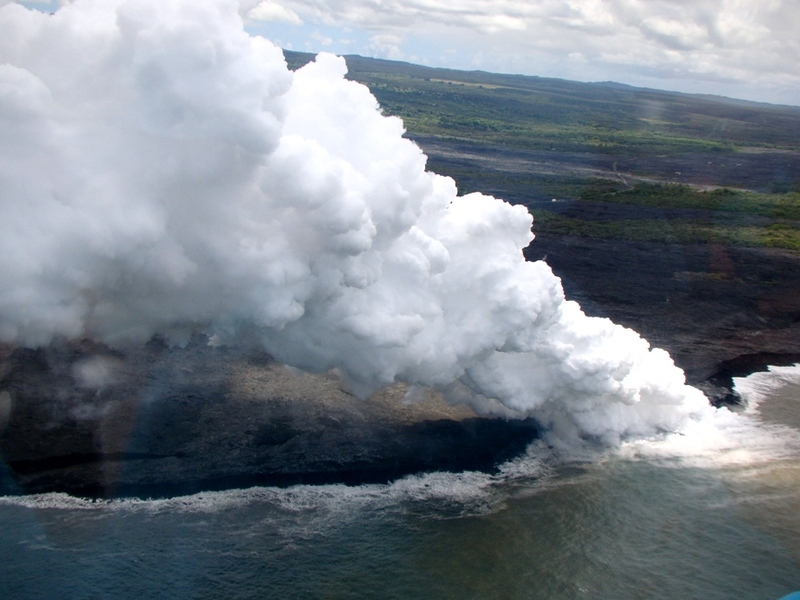 Kilauea is the site of Hawaii's ongoing eruptive active, 33 years and counting. We saw some spectacular spattering when we visited at night. The video is in this post. 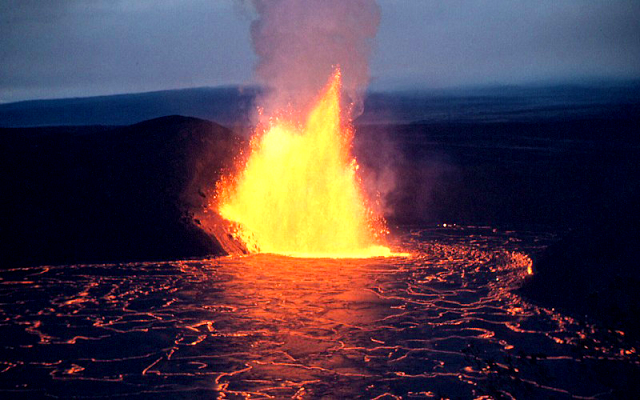 In 1959, a huge eruption produced gigantic columns of spewing lava and filled a depression creating a lake of fire. It's still hot today nearly 60 years later. We walked across the abyss. The present day lava flows at Kilauea originate at a vent called Pu'u O'o a few miles east of the summit. We didn't get to see it on this trip, but I flew right over it in 2009. Here are the pictures! Hawai'i was one of the last uninhabited places on planet Earth. We get a first look at what life was like for the earliest colonizers, and begin to understand how they changed the islands. It was a bit strange that we were on Mauna Loa, the world's biggest mountain, and barely ever saw it. The weather on the Big Island can be fickle! No worries though, I found a lot of images in the archives. 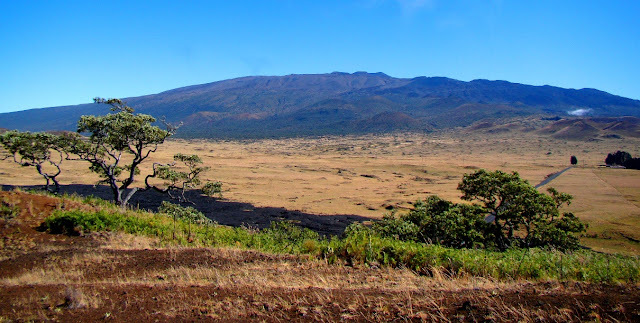 There is a second gigantic volcano on the Big Island that is taller than Mauna Loa, but of somewhat less bulk. Mauna Kea is considered the realm of the gods, and in a sense modern technology reflects this as some of the world's most powerful observatories on the summit search the Universe for understanding. Ever wondered about the world's rarest plant? How about one that existed as a single specimen? That died? Someone preserved just a few seeds, so it may come back (there are about 200 planted in the kipuka today). The role of kipukas in preserving the Hawai'i that was is described in this post. An exploration of a mountain that didn't exist when I was in grade school, along with another of Hawai'i's fascinating kipukas. Mauna Ulu is a fascinating place to explore. The tragedy of the 1946 tsunami at Laupahoehoe, and how it saved hundreds of thousands in the Pacific Ocean later on, but didn't in the Indian Ocean in 2004. Many parts of the Big Island have no rivers despite near constant rainfall. In other places, there are some really nice waterfalls! We explore some of them in this post. 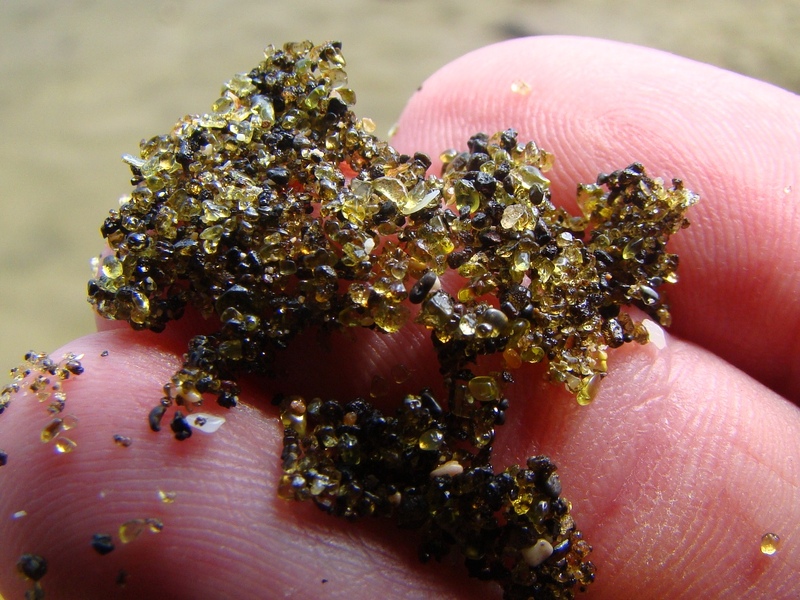 Did you know that there are beaches in Hawai'i that are made of gemstones? Or that beaches range in color from black to white with a whole rainbow in-between? Lets explore a few. You will no doubt see a squirrel-like creature on some the Hawaiian Islands. It's not, it's a mongoose, which is an important control on pests in other lands. In Hawai'i it IS the pest. It's had a devastating affect on the native birds of the islands. The Big Island is not noted for having huge coastal cliffs, but there are some nice ones on the northeast coastline. 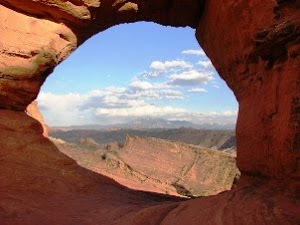 The origin of the cliff is a notable story as well, that of a gigantic prehistoric landslide. This is the story of the Pu'ukohala Heiau, one of the most intriguing archaeological sites in the Hawaiian Islands. It was built by King Kamehameha I prior to his uniting of the islands under single rule. The stones they used to build it came from the other side of the island. History seems to always be about the kings and presidents. We usually hear little about what life was like for the "commoners". 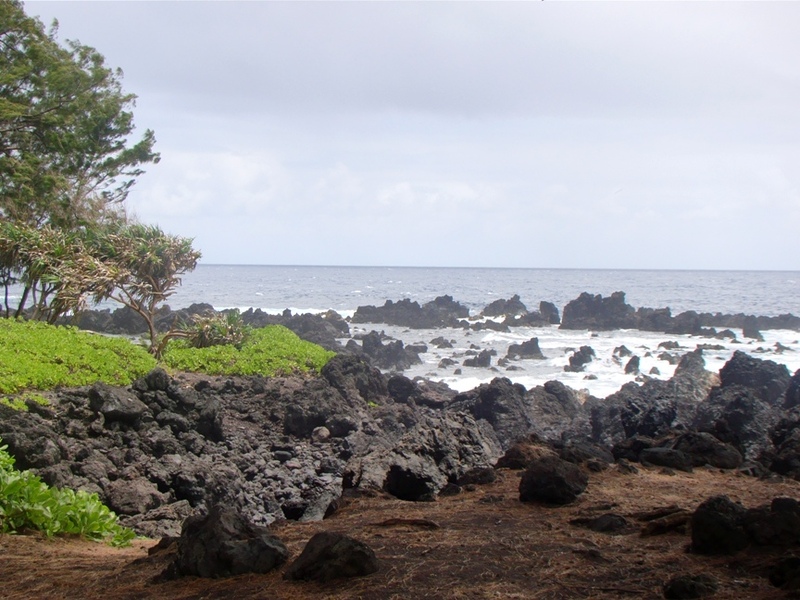 Lapakahi is an archaeological site that protects a commoner's village on the northeast coast of the Big Island. Hawai'i has a number of national parks, and one of them seems a strange choice, backed up against a Costo store near Kona. It's a barren lava flow, but treasures are hidden within its boundaries. Can you ever feel safe? There are different kinds of 'safe' in Hawai'i. A few hundred years ago, small infractions could get you killed, but you could find safety and forgiveness if you could make it to a place like Pu'uhonua o Honaunau. Geologically though? Maybe not so much. Flying from the Big Island to Kaua'i is like riding a time machine both backwards and forwards. We see the progression of the erosion and subsidence of the islands over the last 5 million years, but we are also seeing the future of the Big Island, five million years into the future. The Big Island and Kaua'i are separated by only a few hundred miles, but they might as well be worlds apart. They are different from each other in many ways. 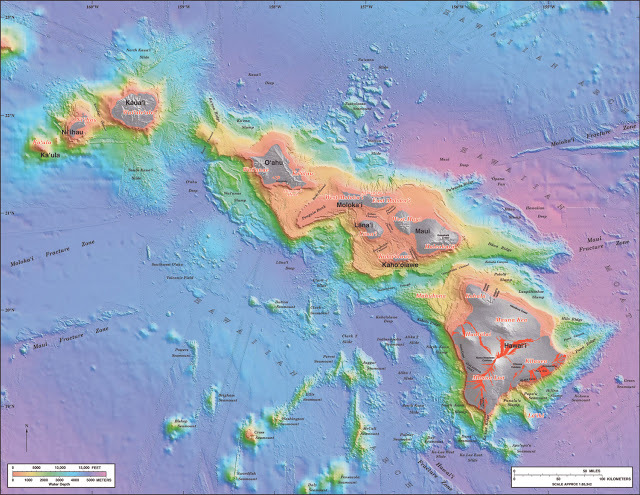 We begin an exploration of the oldest of the main Hawaiian Islands. 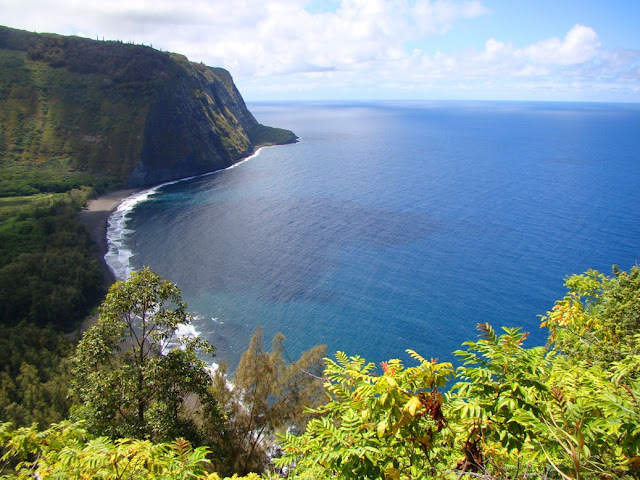 The Hawai'i That Was: History and Beauty at Ke'e Beach and the Na Pali Coast. On the north side of Hawai'i is a spectacular coast of some of the highest beach cliffs in the world, and the remains of a hula school that operated for perhaps 800 years. Not many universities in the world can make such a claim. The Hawai'i That Was: An Idyllic Paradise on the North Shore of Kaua'i. Sort of. 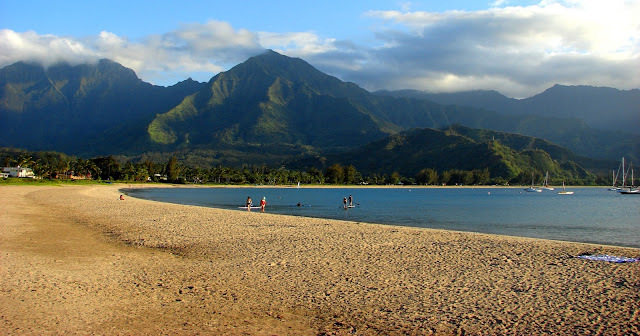 Hanalei Bay is one of the most beautiful places on planet Earth. But even paradise can be a place of danger. Why are all the houses built on stilts? The north side of Kaua'i captures the warm moist tropical trade winds, and collects prodigious amounts of rainfall. The mountains here are the wettest places on Earth, with one spot that gets nearly 500 inches of rain per year. Have you ever wondered where that unique mountain in the opening of "Raiders of the Lost Ark" was located? Actually dozens of movies have been filmed on Kaua'i somewhere. 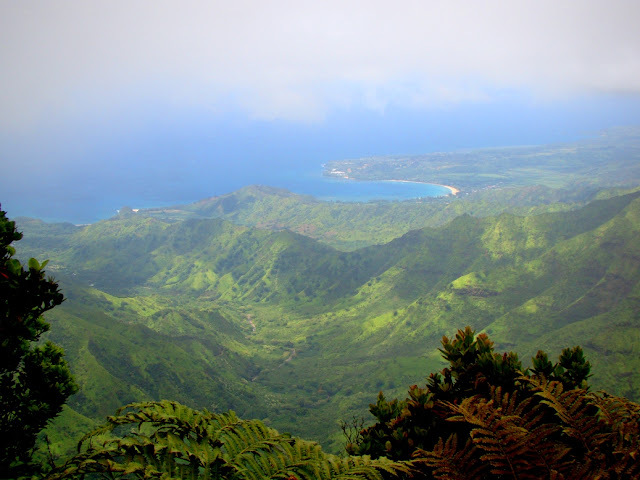 We also climb the Sleeping Giant, a slumbering hero of the native Hawaiians. We take a hike into the last refuge of many of the native species of the Hawaiian Islands, a high-altitude "swamp" on the Alaka'i Plateau. It is an absolutely unique environment, unlike any on Earth. 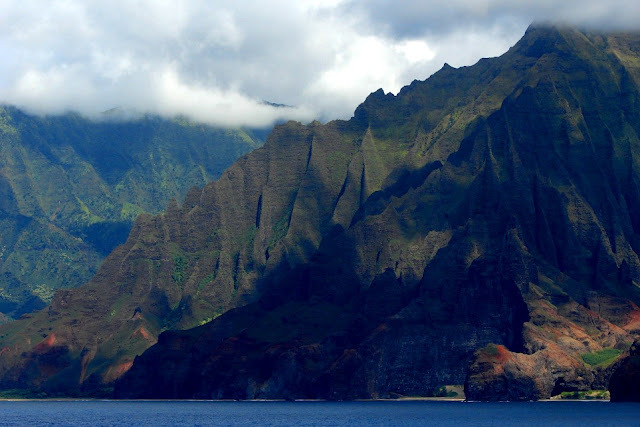 The cliffs of the Na Pali is one of the most incredible shorelines in the world, and are stunningly beautiful. On the other hand, they are evidence of one of the most violent of disasters, one that was so intense that it sent waves crashing against the other islands more than a thousand feet high. A portion of the west coast of Kaua'i exemplifies the conflict between the modern world and the natural environment that existed before. Volunteers are attempting to rebuild some of the wetlands that once existed on the Mana Plain. Our trip was near an end, and we took one last hike, one that end at the brink of a place so spectacular that it's been called the "Grand Canyon of the Pacific". We learned about the need to "earn" a view. For the our final blog in the series (for now at least), we have a look at Waimea Canyon, a deep gorge produced when half the island threatened to collapse and sink into the sea. We end with the realization that the natural environment that once existed in Hawai'i still survives in isolated corners here and there. These are the last refuge for many species, and many of us. Liveblogging the Deluge: The Other Shoe Drops!